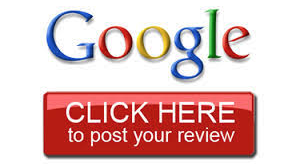 Testimonials & Customers reviews for Ashington Automobile Co. Fantastic faultless service from all the team at Ashington Autos but particularly Stuart and Tom. They were a great help with sorting out my new Focus, and I look forward to using them in the future for any car related enquiries/servicing! When buying our first car from Ashington Autos (after hearing great things!) we were not disappointed. Matt was friendly and had an easy going manner. He made the process smooth, found us the perfect car with the best deal! We would highly recommend!!! Excellent Service, very helpful and quick. Today I collected my new car from Ashington Autos and I am delighted with the service I have received while completing the process. Matt was extremely helpful and insightful into the processes required and provided me with an excellent car that I am delighted with. A number of friends have asked where I got the car and I have no hesitation in recommending Ashington Autos. Recently purchased a car from Ashington Autos. Very pleased with how Stuart & Sean dealt with us. Very friendly and helpful and we would certainly recommend the company for their excellent customer service. Absolutely delighted with my recent purchase, Focus Zetec s, a few teething problems initially but nothing was to much trouble for the team. This is now the 2nd car we have purchased from ashington autos and I would have no hesitation in recommending this garage. Sean was amazing from start to finish, fantastic customer service and reasonable prices. I could not have had a more helpful and sympathetic member of your team than I had in Matt. From entering the office to driving away all was explained so carefully and I had every confidence in his advice. Thank you to Matt and all the team and I look forward to doing business with Ashington Autos in the future. The team at Ashington motor company have exceeded my expectations. These days reviews on social media play a big part of our decision making, this is why I would have no hesitation in recommending this family run business to anyone looking at buying a used car. The dealership was quick to respond to my inquiry. The listing accurately described the vehicle. The car was clean and ready for a test drive. Customer service was excellent, the staff were friendly, efficient, professional and accommodating! I would definitely recommend the dealer! Thank you. Amazing service, Matt was professional, helpful and a pleasure to deal with. Very happy with my new car and would definitely recommend to anyone. Thanks Matt for your help this afternoon. I'm very pleased with all the personal attention I've received from sales, service and site 2 at Ashington motors. A car dealer that you can trust! After being completely ripped off by another local dealer, Matt at Ashington was excellent, his non-sales manner, excellent knowledge, and was externally personable making the process so simple. Would highly recommend if you are looking to buy a new vehicle. My car broke down and I pulled into Ashington Autos. Straightaway they checked out what was wrong with it, drove down to Worthing to get the part and it was fixed by the end of the day!! Amazing!! A few pounds lighter but amazing all the same!!! Great service. I would like to say thanks to Matt / Dave / Stuart for all done for me . got a Mondeo they were so helpful helping change my private plates to sorting out road tax. I ask them if they would take my old plates off they said yes next thing I no they gave me new number plates as they old ones were cracked . at no cost.when got in car they set up my Bluetooth . many thanks to you all Clive. I cannot remember how many cars I have brought from Ashington Autos in the last 45 years .I have always been completely satisfied with the vehicle and the price I have paid. Their mot service and repairs have also lived up to their sign saying ,none are cheaper ,And I cannot find any one better.